I created a bird puzzle for Bear by printing out this bird diagram twice. I printed one on green cardstock and one on white. I cut apart the white one into the different bird parts and Bear enjoyed putting it together with glue onto the control while we talked about the different body parts and how the bird’s body parts were similar and different from ours. I meant to print it out a third time and have her glue it together on a plain piece of paper without the control, but we seemed to tire of bird activities before I got around to doing so. So it now looks like I have to find something for us to do with regards to planets and stars. This is a brilliant idea! We have been learning about birds too, and I kept wondering what I could do with that same bird diagram. Making it into a puzzle is a perfect idea! We are pretty bird-ed out for now, but I'll definitely keep this in mind for the next time around! I love your idea for the bird diagram and how it can be adapted for anything else. You are brilliant! 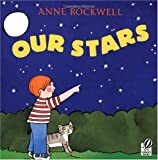 Oh, and since we read Our Stars here as well – I would go with basic night sky and maybe throw one constellation in. Or just basic – Earth, Moon, Sun diagram. I can't wait to see what you will come up with. Fantastic idea! Diego just studied birds at his zoo class on Saturday. Thank you very much for such creative and useful ideas! I like your birds project very much! When we decide to study birds, they'll surely be of help.